With every New Year comes the desire to try new things, including your hairstyle. The challenge is getting the great salon style look while staying on budget. 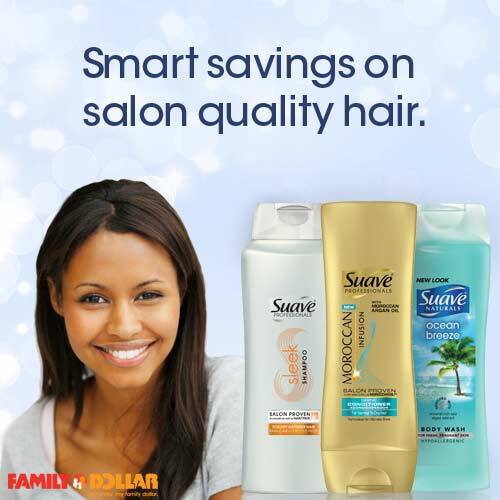 This New Year Family Dollar and Suave are offering you the chance to treat yourself and upgrade to Suave Pro. So I have been using Suave for awhile now because it’s inexpensive and it WORKS!! It is literally comparable to higher end products for a fraction of the price. The shampoo and conditioners are moisturizing and I have always had great results and I have been using Suave for YEARS! Check out my Suave review here . I love the Almond & Shea Butter collection from Suave Professionals. They even have Moroccan Argan Oil line now!! The prices are on point and you get premium results! What could you win? 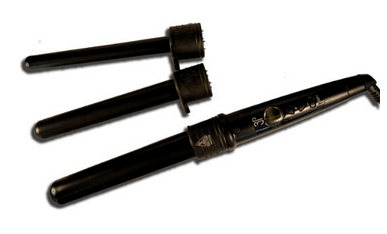 A $50 Family Dollar gift card and a 3 piece Curling Iron set goes to one lucky reader! Just fill out the deets below and you are entered to win!